This topic describes how to import development files from a TV application project containing Native Client modules. 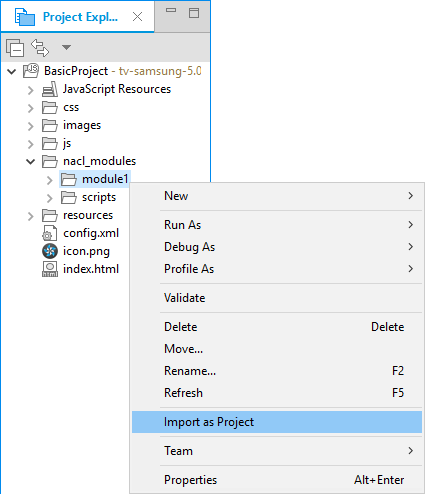 If you have exported project development files from a NaCl-enabled TV application project, you can import the project to the Tizen Studio. In the Tizen Studio menu, go to "File > Import". Select "General > Existing Projects into Workspace", and click "Next". 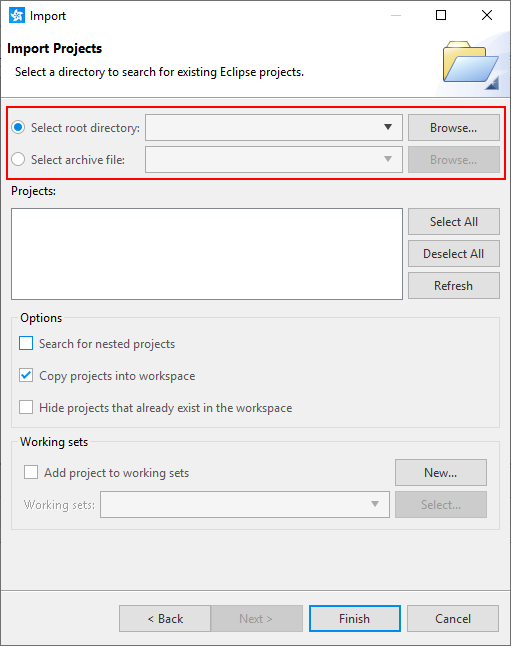 Select whether to import from a root directory or archive file, and click "Browse". Select the project you want to import. 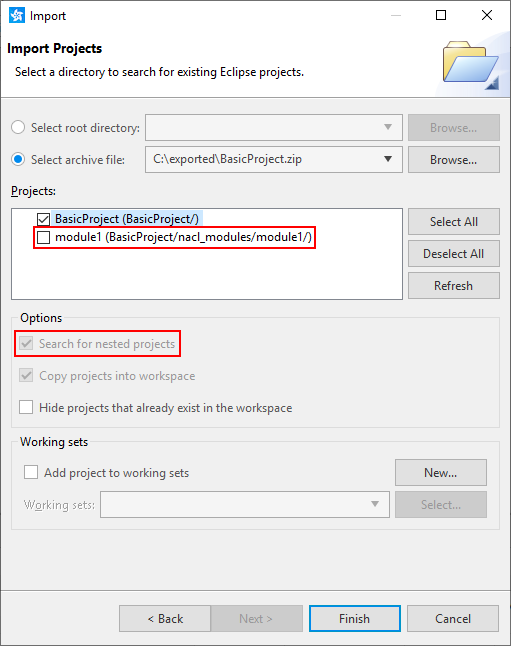 Unselect the NaCl modules from the project list, or clear the "Search for nested projects" check box. 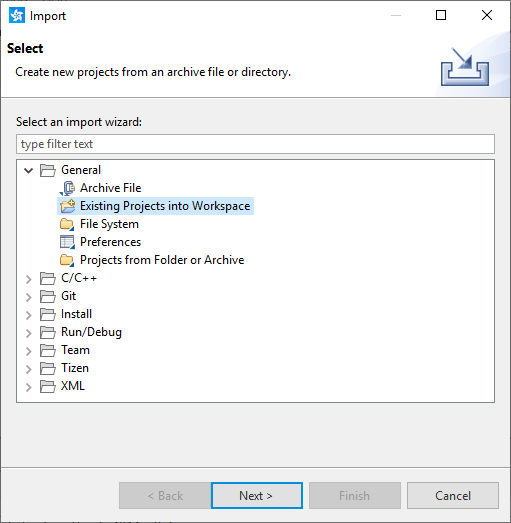 To copy the project files to the current workspace, select the "Copy projects into workspace" check box. The TV application project is imported and visible in the "Project Explorer" view. 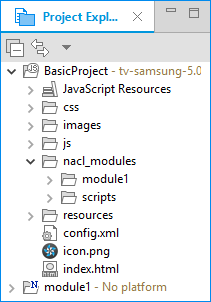 In the "Project Explorer" view, expand the "nacl_modules" directory within the TV application project. For each NaCl module folder, right-click the folder and select "Import as Project". The NaCl module appears as a project in the "Project Explorer" view. Make sure a valid NaCl toolchain version is defined for each module. For more information, see Managing NaCl Toolchains.